This can’t be the plan. Can it? I remember thinking that in the summer of 2014 as I dragged the mop through our dusty Middle Eastern apartment for the last time, shiny clean stripes crisscrossing the dusty tile. My roommate Abi had already left to go back to her home state, and that night I was going to lock up that iron door for the last time and start heading back to mine. The click of the key felt final. What do you do when you feel like God called you to something that you thought would last a long, long time – years of mopping desert dust, or shaking off English rain – and it only lasts a few months? What do you do when the door to the place you thought God was leading closes and He opens a very different one instead, one that makes you think … no way. God, I was ready. I was ready for this crazy life overseas, whatever that meant. I was ready to try to plant my life somewhere for a long, long time. I know I said anything. But I don’t know if I’m ready for this. I remember promising God about a month before … if He would just open the door, whatever the door was, I’d walk through it, no matter what country it was. And now it looked like — in the face of a lot of closed doors for long-term visas to countries where I could live and serve, doors I’d knocked on repeatedly — the yawning, wide-open, undeniable door was to go back to America and write a book. I’d said yes … but I wouldn’t say I was an instant fan. “What are you afraid of?” I remember Abi asking me over breakfast. Abi leaned back in her chair, fingers curled around her yellow Mackinac Island mug. I didn’t want it to be some sort of manual for living single. Who was I to try to tell anybody that? I’m a hot mess. All I knew was that Jesus had happened, He had happened in my life in a big way in the wasteland of my broken plans, and that anything good in me was Him. He had taken my broken pieces and was molding a brand new path. That was my story. Packing up those bags in the Middle East was tough. Unpacking that garage in England and helping a friend set up house with the furniture I’d planned to use wasn’t easy. Turning in my resignation and leaving the people, places and work I loved was hard. 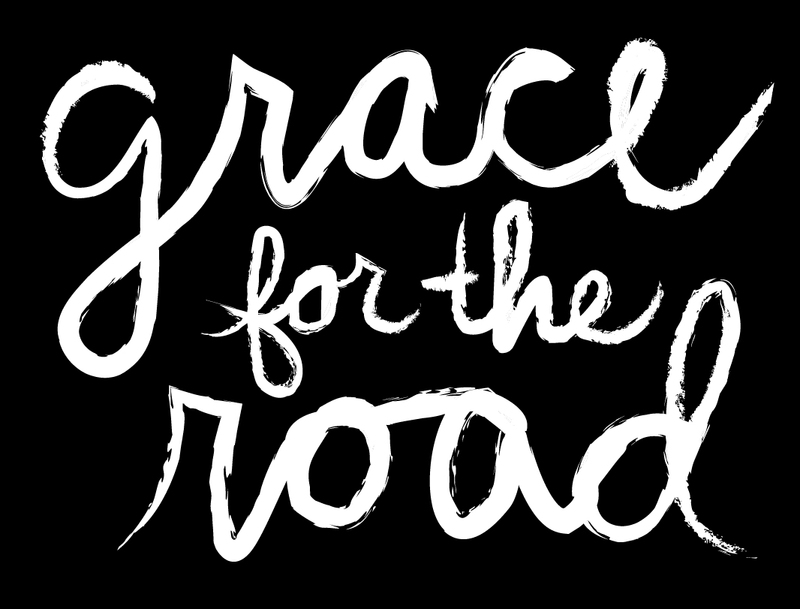 But I’d love to go back to 2014 and tell that Grace … you have no idea the conversations you’ll get to have, or how God is going to show Himself faithful. In 2016, after a lot of prayer and days at the keyboard, “I Don’t Wait Anymore” the book showed up in print. I nearly hyperventilated. Blogs you can delete, but all that bound paper feels like a lot of yourself that you’ll never be able to get back. But that book, the one I didn’t want to write, brought with it an outpouring of God’s grace that I never would’ve expected. He brought me to the table over and over with friends I never would’ve known otherwise. A precious church on the Oregon coast. A group of girls in Akron, Ohio. A dear new friend in Missouri. A girl I met for coffee on the front porch of a cafe in Dover, Delaware. Last year was spent tracing the U.S. and pulling up a chair, and I walked away with a full heart at the way God is pursuing people personally and creatively all over this world. Beautiful stories. A beautiful God. And often our broken plans are the place where He chooses to meet us. The past few years have held a lot of things, as adulthood apparently unavoidably does — seasons lost, seasons gained, tears, scars, adventure, laughter, hardship, joy. It’s been a quiet time with some deep valleys, and I tucked away for some of it, wrestling it out in the quiet of my house and heart with the Father. I’ve had moments where I dug back into God, asking Him to teach my heart all over again who He is and how to wander this road well. But it’s been infused with joy and the fresh wind of new seasons. And as I see His work in my own heart and in the hearts of others — His personal, loving and unrelenting pursuit — I’m grateful all over again. ← To the college grad who doesn’t have a ring on her finger. I’m having the similar situation as you and just got back to my own home country 2 weeks ago. Still in struggle, wrestling, lost, in what is the God’s plan after all hard times I’ve been through in the past years. I only feel I’m getting more lost instead of getting His words to lift me up again. His words and promises now feels more like anesthetic/drugs. Everytime we are hurt, we use His promises and words like the anesthetic to heal the wounds. Everytime the portion of usage getting more and slowly it lost the actual function to cure because our heart is so numb with the promises that we used to believed, the expectation we used to had in God with trust and believes, ending with disappointments. I will read more of your articles if you may enlighten me if you had experience this kind of deepest dark valley, how do you still hold the faith in God once again. I personally is losing my faith on God as I’m really being struck down for now. Jocey, I’m so sorry to hear of the dark valley you’re in. I actually am working on a post now about just what you’re talking about here … I’ll post it later today or in the morning. But I just want you to know that you’re not alone and that there is more to be had in Him. Please feel free to contact me through the contact form on the About page if you’d like to keep talking about it. Hi Grace , this is second time I’ve read the book one for 10 years plus and just finished it a few moments ago it has warmed my heart all the way through the book your encounter with the living God it’s certainly been my desire and my joy to be able to be a part of your Journey. Wondering what the Lord is doing in your life currently , since the books been written ? PS have had opportunity to interest other’s to read your book! 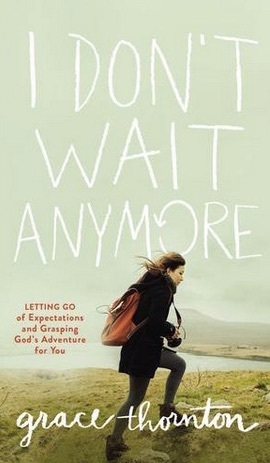 I just finished reading “I Don’t Wait Anymore”and what an inspiration and encouragement it has been for me. I am a widow surrounded by a wonderful family that the Lord has given me. But I have also had many struggles in believing I fit in the demographics because all have children, grandchildren, husbands and then here I am – none of the above. But I know that God called me to His beautiful Son and even through the hard times, I have never thought to give up. But your book has opened my eyes to a whole new place of surrender and I realize now that is what I have been longing for all through this journey He has put me on. I knew the time would come of a complete letting go of everything in order to have more of Him. And this book in combination with words the Lord has been speaking to me through His precious Spirit have brought me into a new place of understanding and longing; to a greater revelation of who He is and what He is doing in me. So I give my my deepest thanks for sharing your story, the ways that our Lord has showed Himself faithful and true to those who love Him and seek Him with all their heart, mind, soul and strength. May He continue to pour out His endless love to you and all those who are searching for the only one who can bring complete fullness to our lives. Much love and many more days of wonder with Jesus to you. Barbara, thanks for your note. Awesome to hear what God is doing in your life! Praying for you today – that God will continue to draw you closer and closer still! I’m 36. Single. And I love Jesus [imperfectly] too. I’ve read your book -i don’t wait- twice. And I’ve gifted it to about 5 precious friends. There’s a depth of honesty and raw authenticity in your writing that I find relieving and life-giving. Reading your writing is like a giant exhale. I almost asked you to stop on your road trip in the mnts of NC where I used to live. Would have loved to chat. Now I live in Indy. Anyway, just wanted to say thanks for letting God use your story – a beautiful story – to stir up God-ward affections in our lives. It’s nice to know I’m not alone in this season of life. Thanks a million for following Gods calling in your life. Your posts are always so great! Once again, your writing echos my journey and gives words to my experience in a season I have found myself largely devoid of my own. If you are in Missouri again Inwpupd love to meet you! I just want to say how grateful I am for you, your journey, and the book you wrote. It was extremely courageous of you to take God’s call on this journey. I came across your book one day in Barnes & Noble while I was going to the bathroom. Your book stood out amidst twenty something books on the display. I picked it up, read the back of the book, and instantly knew I had to read this book. You see, there are great books I’ve read previously, but I haven’t picked up a book that I related to more than this. It’s been used greatly in stirring my affections for Jesus and letting go of my personal dreams to follow Him. Thank you for writing this book and I hope this encourages you to continue to follow His heart!! Thank you, Michelle. So glad you wrote. It’s amazing to hear how God is working in your life. Praying He continues to fan that flame more and more all the time! This was good to read today. I’m in a similar situation- prepared to live out in the African wilderness, and the intensity of existing out there lended itself to such a firm sense of purpose. And now I live on a small lake, serving at a small Bible School. This is one of the first times since coming back that I truly resonated with a shared experience, and I’m glad you wrote this. Grace, thank you for your transparency. Your thoughts continue to challenge me and remind me of what’s most important….He Is Enough!!! May we all enjoy our “quiet seasons” as we live in the inherited gift of Rest from Father God. Thank you Grace for sharing your heart. Sometimes it is scary when you stop and reflect on the fact that God is really all I have. But then it is so refreshing and peaceful when you remember, God is really all I need. The words that flow from your heart bless me Big. Love you, Mrs. Becky – so grateful for your friendship over the years! Glad for the update, my time with you has been a highlight of my GLBC time. Know there is always a Sunday dinner plate for you. I was just telling someone about you this week. :) Would LOVE to see you soon!